Magic, music, stories and fun with Grandpa Magic. 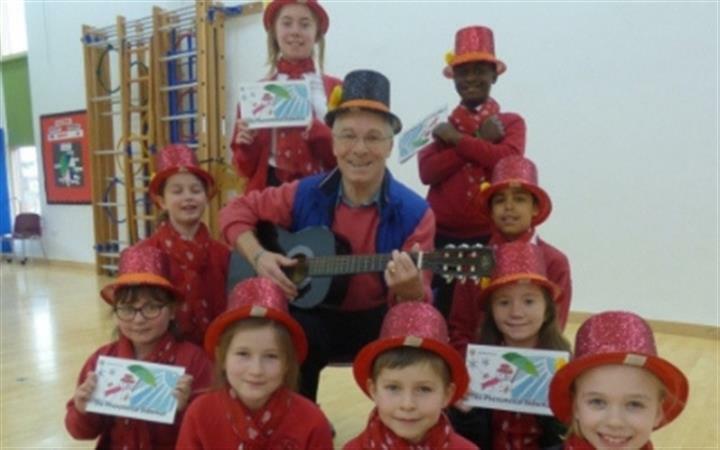 Since retiring from his role as a Primary head teacher, Kevin has published the most popular stories, rhymes and songs that he wrote over a 20 year period whilst serving as a head teacher. Different charities have benefited through the sales of his books. He is also a former member of The Ipswich Magical Society where he developed his love of children’s magic and came runner-up in ‘The Children’s Entertainer of The Year’. In this session he will share his work in an interactive manner, explore some of his book characters and related concepts, whilst incorporating magic, song and rhyme to bring his books alive. Suitable for 4-9 year olds. Ticket prices includes a book written by Grandpa Magic himself; Kevin Bullock.